HOME > News > Halloween Specials are here! Fall into Halloween with our special treats for the spooky season. 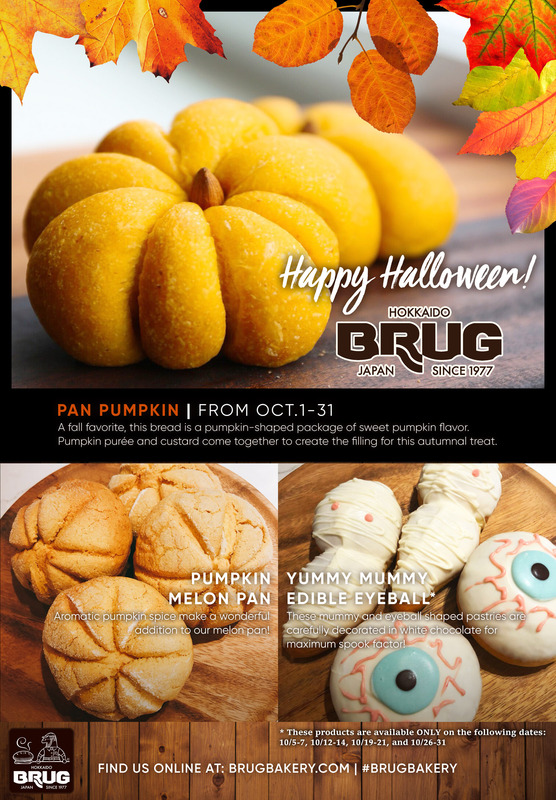 Starting from October 1st, we’ll have Pan Pumpkin and Pumpkin Melon Pan out on shelves. Also keep an eye out for Edible Eyeballs and Yummy Mummies on the weekends, these sweet breads decorated in white chocolate take time to prepare. Fear not, however, if you crave these spooky treats during the weekday, all Halloween specials will available daily from the 26th.